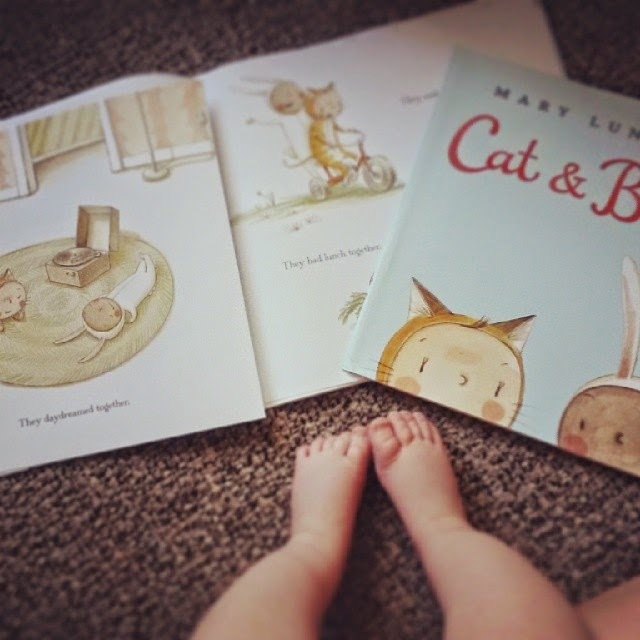 Mary Lundquist Illustration: Cat and Bunny! My first book, Cat and Bunny, will be out in stores in January! Published by Balzer and Bray (Harper Collins). I got the unbound pre-copy in the mail and it feels so real. So good. How wonderful, what a blessing! I'll be looking forward to this sweet looking book. Steve Malk showed some of your pieces at an SCBWI workshop this past weekend, and I fell in love with your illustrations! Looking forward to seeing your book on the shelves!